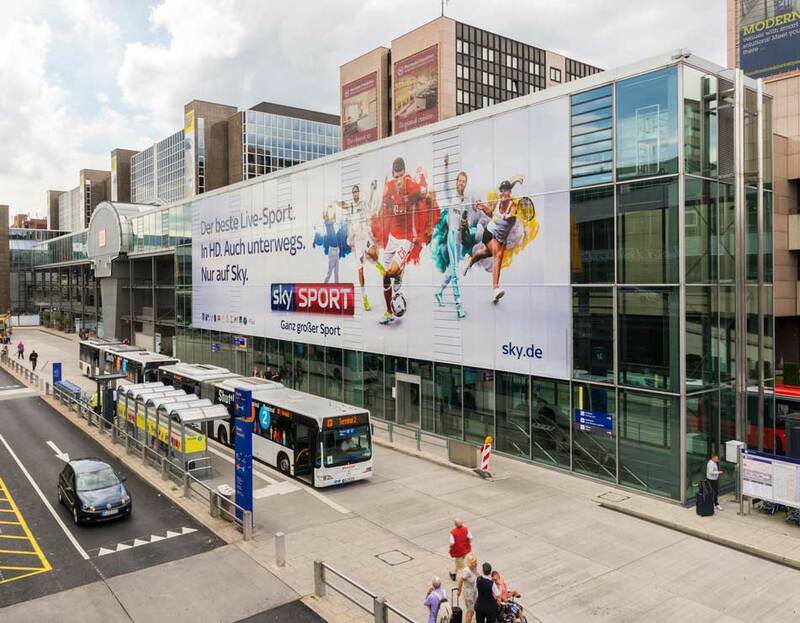 Treat your brand to 440 m² of advertising space. This unique location at the main bus station is seen by more than 23 million people a year. Visible from the very busy departures and arrivals level of Terminal 1. Rely on the Premium Class in the outdoor sector, too.